The Mobile World Congress is just around the corner and this year there will be a long-awaited return. After a Galaxy S8 that missed her regular appointment, Samsung has confirmed the samsung Galaxy S9 will arrive back in time for the fair of Barcelona. Now add more fuel to the fire with the filtration more detailed to date, one that could only come from Evan Blass. The well-known leaker has set its sights on the upcoming Samsung flagship, and brings us a render that shows the design of the two variants that will hit the market, accompanied by the key specifications of this duo. We a look at the design and features of the Galaxy S9 and S9+, according to leaks. The Samsung Galaxy S8 and S8+ represented a major change compared to the previous generation, mainly due to the new design ‘without frames’, but judging by the leaked image this year we’re not going to have a major leap forward in this field. In fact, the Galaxy S9 and S9+ stand out precisely by the opposite, by betting on a clear effectively business as usual in appearance regards. The filtration indicates that they will maintain the same diagonal screen sizes, with the model “small” by holding a panel of 5.8 inches and the largest is 6.2 inches. Of course it also keeps the format 18:9 and the Super AMOLED technology. But be careful because there are changes, specifically one that is in great demand and is a better placement for the fingerprint reader. Although we don’t see it in the photo, Blass claims that the fingerprint reader is not already on the side of the camera, but just below it, a position that will undoubtedly be more comfortable than the current in the S8. Also noteworthy is that both will be stereo speakers on the bottom edge. Speaking of the camera, here also there would be changes and this time more forceful, but only for one of the two models. The filtration corroborates that the only one that will have the dual camera will be the Galaxy S9+. Specifically you will have a combo of sensors up to 12 megapixels, one of them with aperture variable to f/1.5/2.4, and will have a video mode super slow motion that will reach up to 480 fps. For its part, Galaxy S9 normal will have a unique 12-megapixel camera, but also will enjoy the advantage of the opening variable and the mode of recording at 480 fps. The two will have cameras, rear 8-megapixel camera. Without doubt the camera is the highlight of the invitation sent by Samsung, and also the most difference to a couple of mobile phones that traditionally were distinguished mainly by the diagonal of your screen. 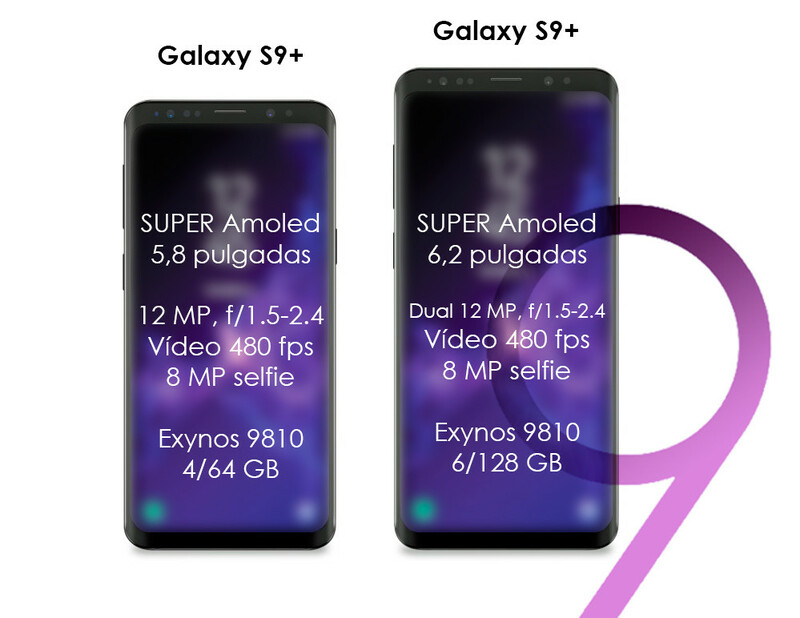 Everything indicates that there will be more details that expand the gap between S9 and S9+. In the most technical would have two options of processor: the Exynos 9810 for the latest version global and the Snapdragon 845 for the united States and China. The point opened by that distance would be the RAM and internal memory, which would be of 6/128 GB for the Galaxy S9+ and 4/64 GB for the Galaxy S9 normal. Without a doubt, the most eye-catching that would bring the Galaxy S9 is the new strategy of Samsung to give us more arguments in favour of the alternative ‘plus’, leaving the model of diagonal and more contained in a clear position of disadvantage. The next February 25 we will get to know all the details of the Galaxy S9 and S9+. The date of arrival in the shops will be delayed a little longer, until the 16th of march. 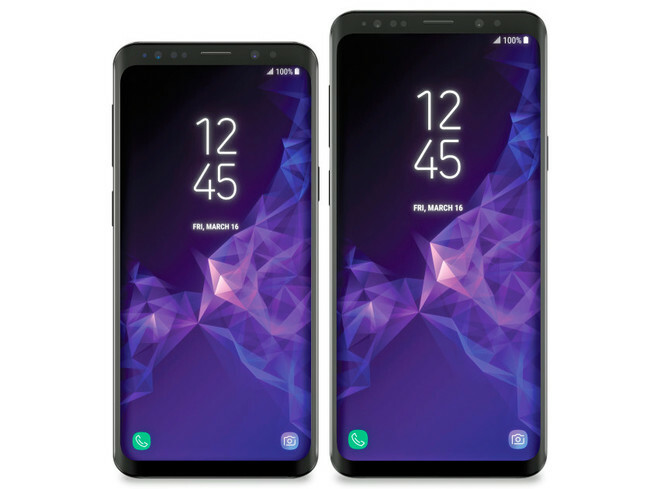 The news Evan Blass us guts the Samsung Galaxy S9 and S9+: first renderings and features was originally published in Xataka Android by Amparo Babiloni .